I was lucky to be able to attend the Inglot 10 Years of Beauty event last night. 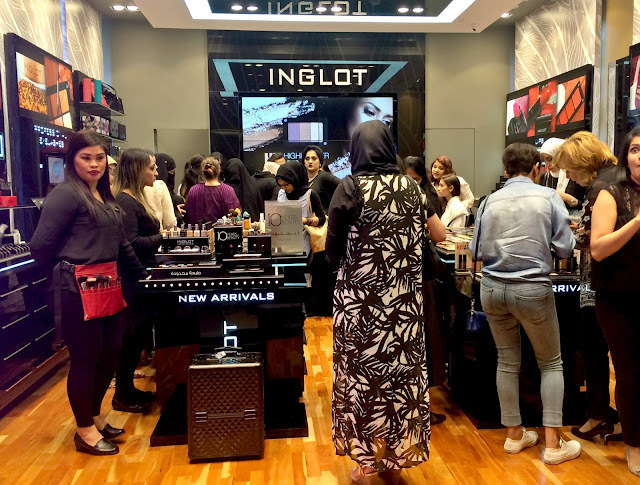 Inglot is a store that I've mainly just admired from afar and have only visited a handful of times. I think it's the vast collection of every colour imaginable that intimidates me slightly. And so, when I heard about the event, I rallied up my little posse (for moral support) and headed over to check it out. 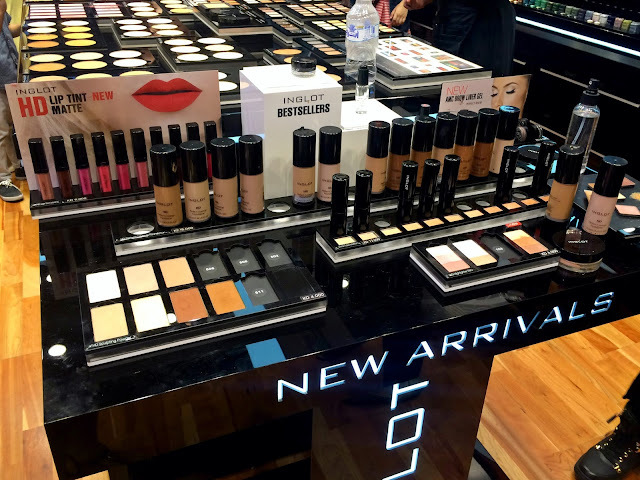 The event was to showcase their latest collection and included HD foundations, sculpting powders, highlighters, etc. There were some seriously good brow liner gels which I got a chance to try out and I also loved their gorgeous collection of lip tints. I'm all about matte lips! 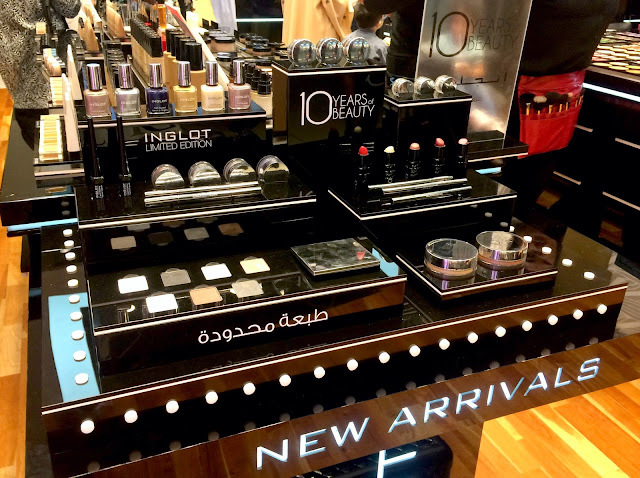 There were also a few products in a limited edition packaging to commemorate 10 years of beauty in the GCC. The store was jam packed, but it was still fun swatching and trying out the new makeup. I think I spent a little too long oggling their nail polish collection, seriously beautiful. Inglot is a cruelty free brand by the way! We came home with a little goody bag containing the Pro Blending Sponge and a matte lipstick. (I have two of each as I conned a friend into handing her's over). I'm really excited about the makeup sponge and can't wait to try it out. The lipsticks are 412 (deep red) and 422 (purple). I'm not quite sure if I'll get a lot of use, or any if I'm being honest, out of the purple lipstick. 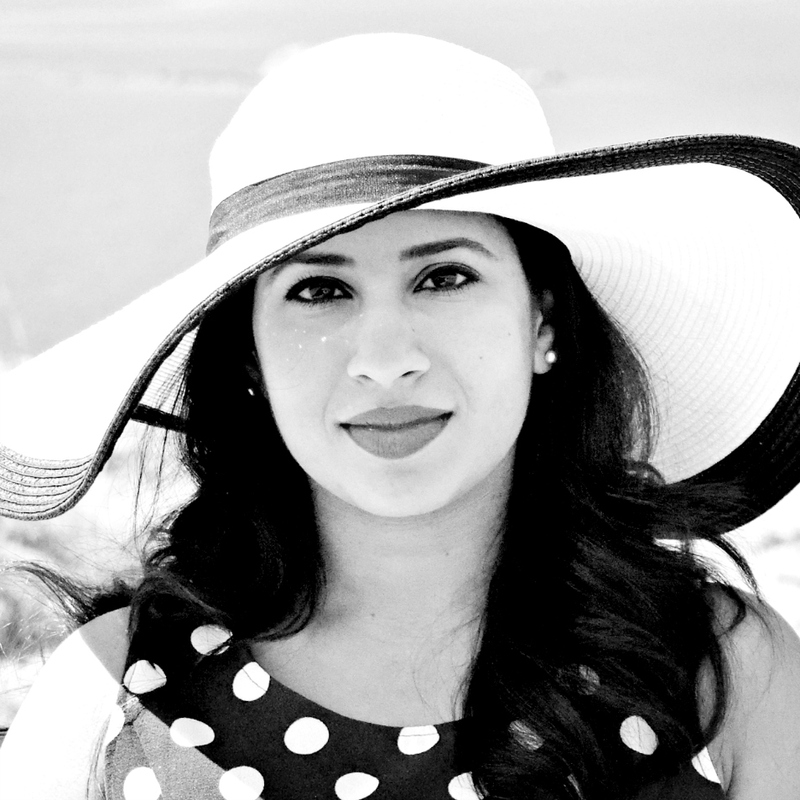 Reminds me of the controversial lip colour Aishwarya Rai sported at Cannes this year. Anyway, review and swatches coming up soon. Thank you Inglot for a wonderful evening filled with makeup, milkshakes and donuts! Haha, I know what you mean. I'll probably wear it at home just once to what I look like, but that's it. I know. I've never attended an event before and I only did this time because I had my friends for company. But, it was a lot of fun and I just loved being able to take my time and look at everything. This is so exciting! I'm sure it was such a fun event. I like the lipstick shades that you chose. Especially the deep red. Yup, it was a lot of fun. The lipsticks were just packed into the goody bag though and I didn't get to choose them. Love the deep red, will be perfect for evenings out. Those nail polish got my heart! I know, gorgeous right? My nail polish collection mainly consists of reds and corals. I really need to try out different colours. That looks like heaven on earth for anyone who truly loves makeup! Thanks for sharing. Haha, yes it really was! Haha, me too. I'm always gazing enviously at other blogger's instagram photos of different events. My goodness, that sounds like a wonderful event to attend and I am sure it could have been a great experience to cherish. 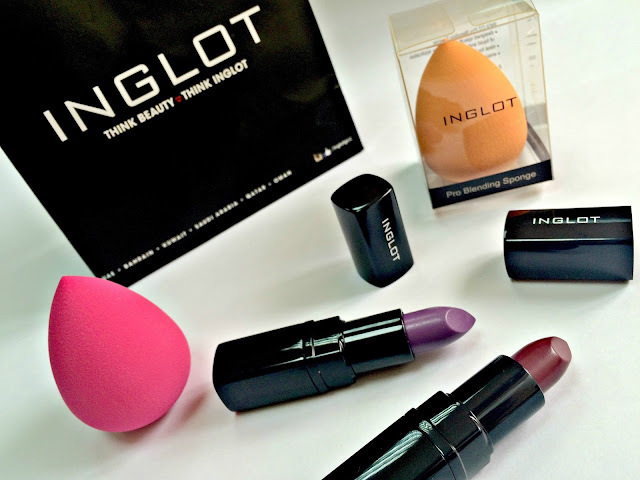 Though I have heard about Inglot, I have never used them before, but these products are really looking amazing. Oh really? You should definitely check them out. They're quite similar to MAC, probably not as well known though. And the plus point is that they're a cruelty free brand. 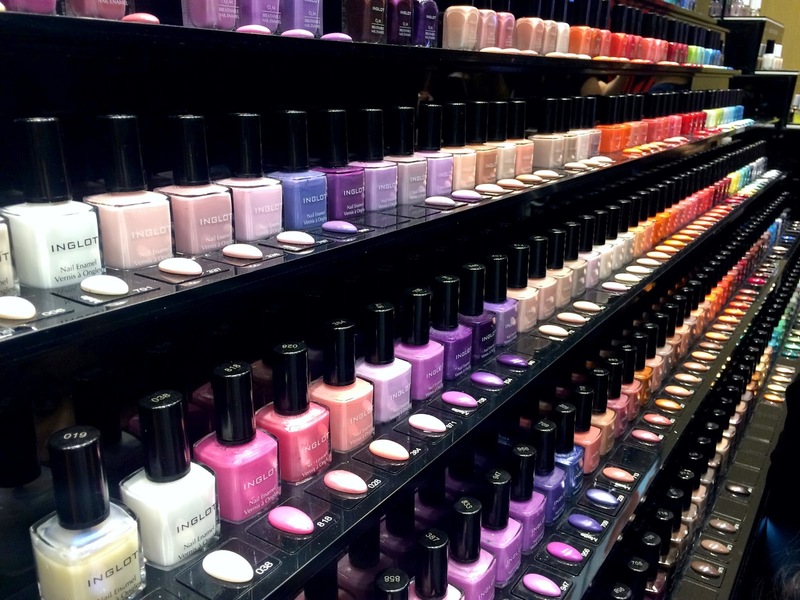 Hi Anna, yes, that nail polish collection was mesmerizing! Thanks for stopping by.